YouTubers seem to be popping out books like anything these days. You can't seem to go onto twitter or youtube etc without seeing a book announcement post/video. When I found out Connie Glynn aka Noodlerella was writing a book I was shocked. Out of all the Youtubers I know I wouldn't have expected her to announce something like that. I'm not a big watcher of Connie's videos (I watch them from time to time) but I was really intrigued to see what she was like as a fiction writer. When fourteen year old fairy tale lover Lottie Pumpkin starts at the infamous Rosewood Hall, that last thing she is expecting is to find herself sharing a room with Ellie Wolf, the princess of Maradova. Due to a series of coincidences Lottie soon finds herself pretending to be the princess so Ellie can live a more normal life away from her princess duties. Lottie is soon pushed into the world of royalty - a world filled with secrets and betrayal. She must do everything she can to help Ellie but with school, the Maradovian ball and new boy Jamie, she soon discovers that reality doesn't always have a happy ever after. 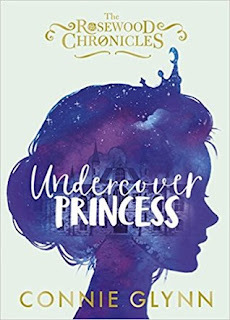 As a lover of magic and all things princesses I found myself drawn to Undercover Princess. A story about a princess, royalty and mystery? Yes please! However, I feel like a lot more could have been done with this story then there was. There was so much going on but a lot of it was just forgotten after a couple of chapters. Especially a certain mystery which I won't spoil for you. I wanted to know more about it and was hoping to by the end of the book but I was disappointed when I didn't. I know a few more books have been planned so maybe we'll get to learn more as they go. The setting of Rosewood Hall was perfection. It had a certain Harry Potter-esque feel to it and I adored that. The descriptions were spot on and it made me actually want to grown down a few years and attend it. I could just imagine myself walking down the halls, going to the library and discovering secret passages. The bit I loved most about Rosewood Hall was the houses. I kept guessing what house I'd be in and it changed all the time. A sorting quiz of some sort needs to happen ASAP. Lottie, as a character I found to be a little naive and doe-eyed. She had her head in the clouds a lot of the time and seemed a little bit too trusting of people. Despite this, I like how she found her strength towards the end and this did make me fall for her, even if it was just a tiny bit. Ellie, was probably the character I liked the most. Her rebellious side was comical every so often and the idea of a non conforming princess really appealed to me. Her relationship with Lottie was cute, although somewhat sickly sweet and I did get the feeling that it may blossom into more? We'll have to wait and see for that one though. Despite not liking Jamie as a character at first I found myself warming to him. I am longing to learn more about his past and to see if him and Lottie have something between them. There were a few supporting characters that I felt didn't need to be there. There were too many names floating around and you never really got to know any of them really. I know you don't need to have much development with supporting characters but you still want to know just a bit about them so you can warm up to them. A few could have certainly been scrapped. Despite a few flaws Undercover Princess was a quick, magical read that kept me entertained. I feel that I probably would have enjoyed it more if I was younger, as it certainly aimed at a younger audience with regards to the plot, writing style and characters. I will probably be reading the next instalment, mind you, as I have so many questions I want answered. Connie Glynn has always loved writing and wrote her first story when she was six, with her mum at a typewriter acting as her scribe. She had a love for performing stories at a young age and attended Guildhall drama classes as a teenager. This passion for stories has never left her, and Connie recently finished her degree in Film Theory. 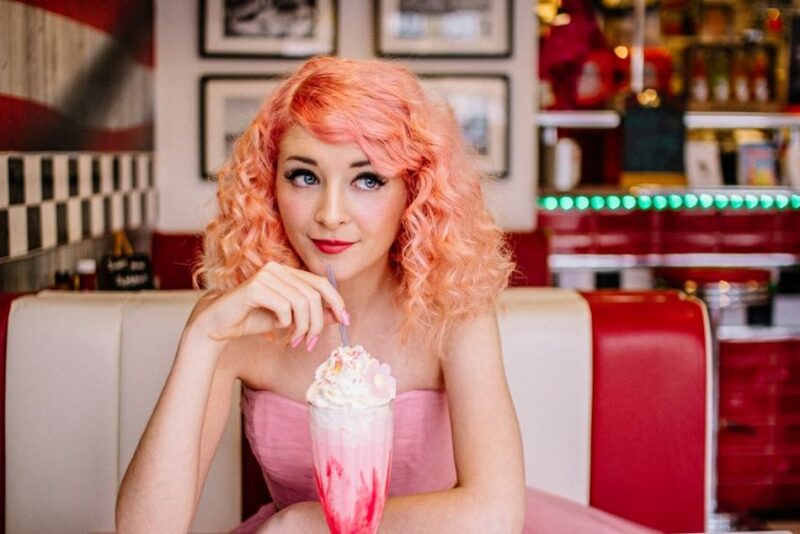 It was at university that Connie started her hugely successful Youtube Channel 'Noodlerella' (named after her favourite food and favourite Disney princess). Here Connie vlogs about her passions, which include comics, cartoons, impressions, video games, cosplay and all things cute. Connie recently passed 700,000 subscribers and has over 56 million views. The year 2016 saw Connie make her first film appearance in a cinematic film release as she made a cameo as the voice of Moxie Dewdrop in Dreamworks' Trolls.